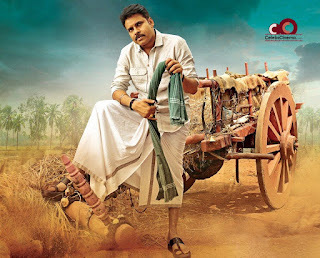 How Pawan Kalyanchampioned the cause of the weavers as the pachekattu-clad Katamarayudu has been the talk of T-town this Ugadi since his political rival, Telangana's Textiles Minister KTR, applauded the actor recently. "Watched @PawanKalyan Katamarayudu. You have a sure winner Kalyan & @sharrath_marar Appreciate the subtle but strong promotion of Handlooms (sic)," posted KTR. Turns out, it was the Power Star's idea to go completely 'swadeshi' when it comes to his styling for the film. "From day 1, Kalyan sir insisted on sticking to handmade, handloom garments for his look. It took us two months to lock in on the final look. After trying out four stylists, we zeroed in on Ishita Singh, who used very raw fabrics sourced from handloom weavers across the country," says Shalini Nambu, costume designer for the film. Apparently, the costume team got sketches of PK done in a range of looks and got the same vetted by him. "The best part is, Kalyan sir knows what exactly he wants. For instance, he was very keen on wearing only handmade footwear from the beginning. This went on to become part of his signature look, along with his rudrakshamala, Lord Narasimha ring, black thread on his kada, green gamcha, and his used Hamilton watch," adds Shalini. There's an interesting story behind the signature ring and the watch that PK sports in the film. "PK garu wanted a chunky gold ring with the lion face of Lord Narasimha on it to symbolise the power of his character. His mannerisms included a lot of aggressive hand movements, so he felt the ring would add to the effect. But the catch was we wanted the ring in two days flat. Every goldsmith we approached said it will take at least a week. Thankfully, we found a goldsmith from Krishnanagar, who was a huge Power Star fan. He agreed to deliver the ring in one day, provided we get him a picture with Pawan. We had the ring in a day, and he had his selfie," recalls Shalini, adding that PK hasn't taken off the ring ever since. Talking of the vintage watch, which has become a huge style statement, Shalini says, "Kalyan sir wanted an authentic HMT watch — one that would look like his something the character's father would have gifted him. He had the exact details in mind — it had to have a big white dial, silver rim and a black strap. This was a style common in some of the early editions of HMT Janata watches — something you rarely find these days. Thankfully, our AD Srikanth managed to source a similar one from an old watchmaker his uncle knew. It had a silver dial though, and we had to run around on a Sunday evening looking for someone who could give us a black strap for it. When Kalyan sir saw the watch, he loved it!" 1. Challenge yourself. - Richard Branson says his biggest motivation is to keep challenging himself. He treats life like one long university education, where he can learn more every day. You can too! 2. Do work you care about. - There’s no doubt that running a business take a lot of time. Steve Jobs noted that the only way to be satisfied in your life is to do work that you truly believe in. 3. Take the risk. - We never know the outcome of our efforts unless we actually do it. Jeff Bezos said it helped to know that he wouldn’t regret failure, but he would regret not trying. 4. Believe in yourself. - As Henry Ford famously said, “Whether you think you can, or think you can’t, you’re right.” Believe that you can succeed, and you’ll find ways through different obstacles. If you don’t, you’ll just find excuses. 5. Have a vision. - The founder and CEO of Tumblr, David Karp, notes that an entrepreneur is someone who has a vision for something and a desire to create it. Keep your vision clear at all times. 6. Find good people. - Who you’re with is who you become. Reid Hoffman, co-founder of LinkedIn, noted that the fastest way to change yourself is to hang out with people who are already the way you want to be. 7. Face your fears. - Overcoming fear isn’t easy, but it must be done. Arianna Huffington once said that she found fearlessness was like a muscle -- the more she exercised it, the stronger it became. 8. Take action. - The world is full of great ideas, but success only comes through action. Walt Disney once said that the easiest way to get started is to quit talking and start doing. That’s true for your success as well.